Julie Case and her team at Ultimate Canine. Julie is a certified master dog trainer to offer you all levels of dog training including service dogs. 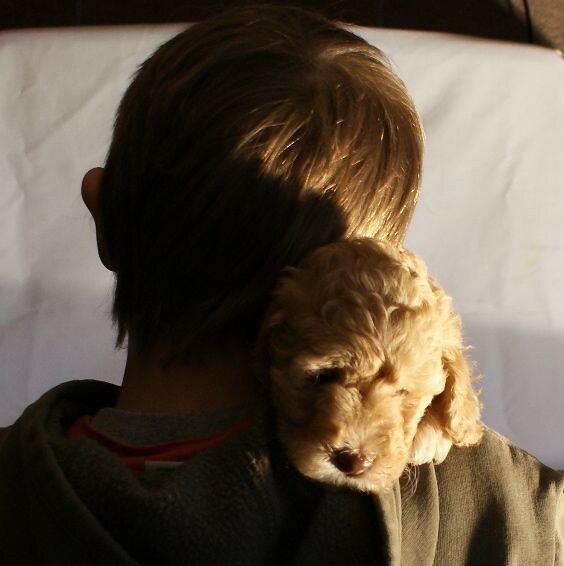 We see a large need for service and therapy dogs that are allergy & asthma friendly without shedding. 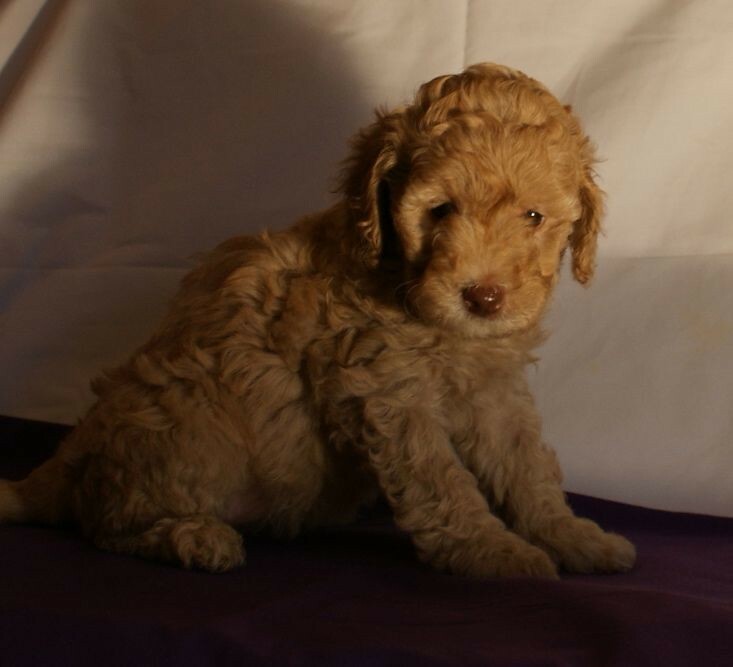 Because of this need, we at Ashford Manor Labradoodles have teamed up with Julie Case, owner at Ultimate Canine, a professional Service Dog Trainer! 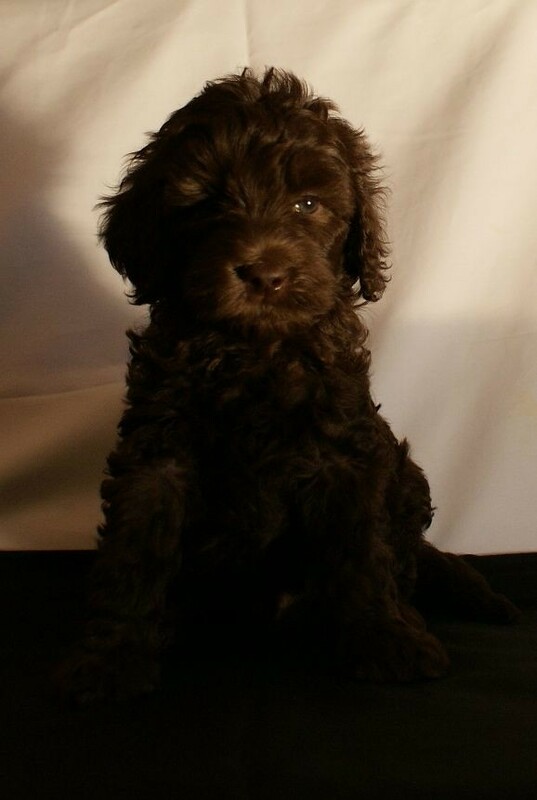 With a privately trained dog you can work directly with Julie Case, the trainer, and Ashford Manor Labradoodles and have your puppy trained in a much shorter period of time. Unlike other service dog organizations our wait list is much shorter. This is training for a family companion dog. This course will take your puppy through many different phases of learning: socialization, potty training, basic obedience and manners. They will remain with Julie Case and her team at her facility for the 4 – 6 week period and then you will be trained by Julie. 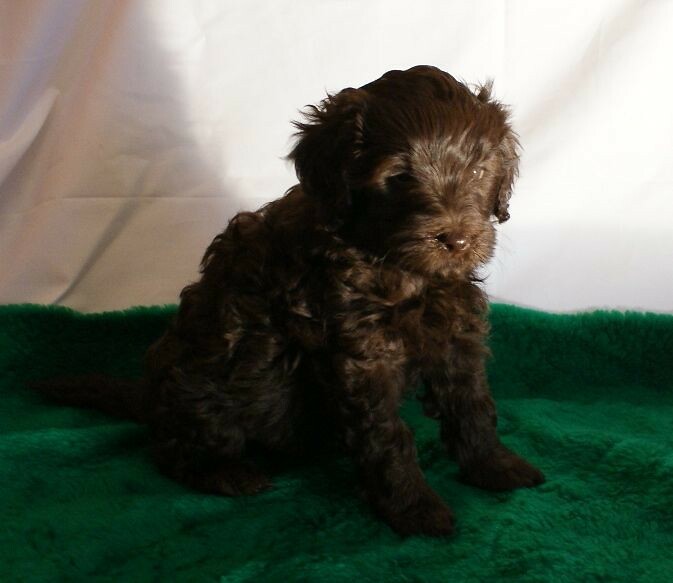 View a companion level puppy in training here. Newgarden a therapy dog for a special boy who visits hospitals and nursing homes to bring joy to others. This is a course for nursing homes, court rooms, psychiatrists, lawyers, doctors, and teachers who will be taking their dog to work with them. They will learn advanced training as well as specialty areas in which your dog will be prepared to work as a certified therapy dog. At the end of your dogs training they will be fully certified as a therapy dog and your training with Julie is included in this program. After receiving this training you will be a certified therapy team. This is an 8 – 12 week course for your dog to live with Julie Case and her team learning how to become a fully trained certified therapy dog. mobility, wheelchair assist, depression, flight risk, diabetic alert, sleep apnea, Autism, PTSD, TBI, Balance support, stress coping, anxiety, learning disabilities, and more. 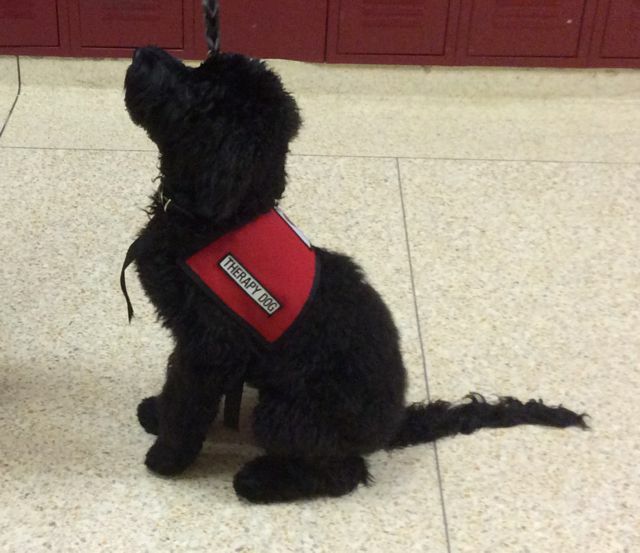 Paganaud a service dog in the school system from Ashford Manor Labradoodles. 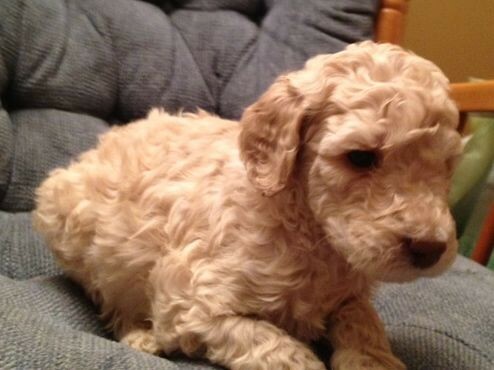 Each dog is tested between 7 – 8 weeks of age to see if they would be a compatible dog for your family. 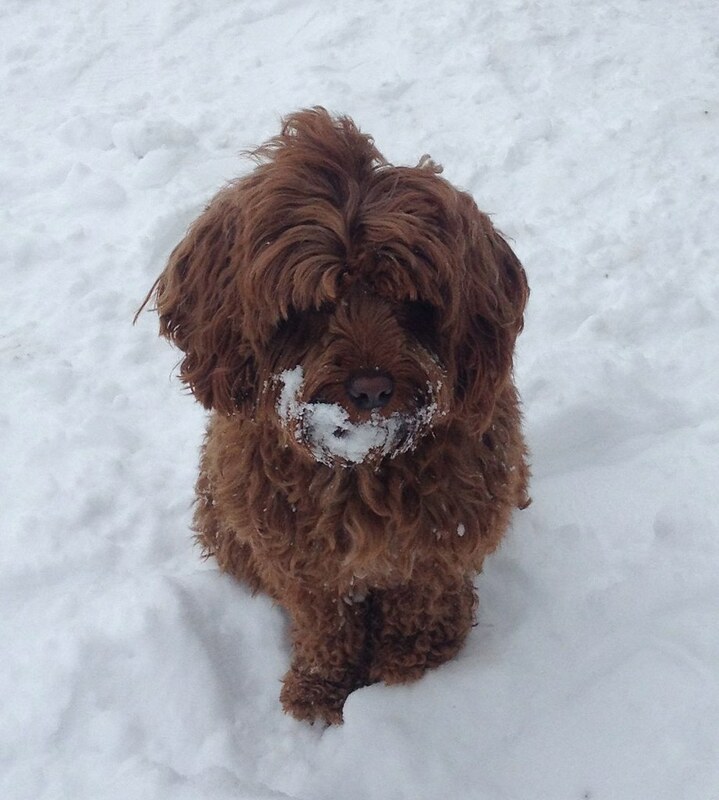 At Ashford Manor Labradoodles, we thrive to produce temperament for service work. Once the puppy passes, Julie then selects them for specially designed temperament tests. Training begins at 8 weeks of age. At the end of the course you will go through a handler training and certification course. 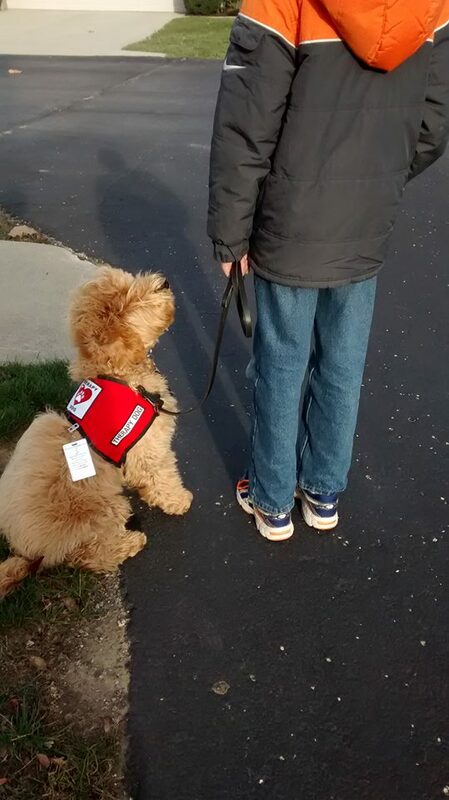 You will have a full public access service dog tested up to federal law standards. Your dog service equipment is included in this package. This course takes your canine through 4 – 6 months of training with Julie Case and her team at Ultimate Canine followed by training with you in your home. Who is Julie and Why is she qualified to train my dog? and just about anything you want your dog or puppy trained for. Julie has two thumbs up from all of her clients. Julie owns Ultimate K9, LLC in Carmel Indiana. Julie has an impressive resume with a vast range of experience. She works with people all over the country. To talk to Julie call her at 317-443-6019, or view her Julie Case Resume. 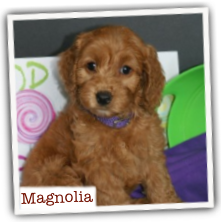 To find out more about Ashford Manor Labradoodles call Cheryl at 765-714-1436.